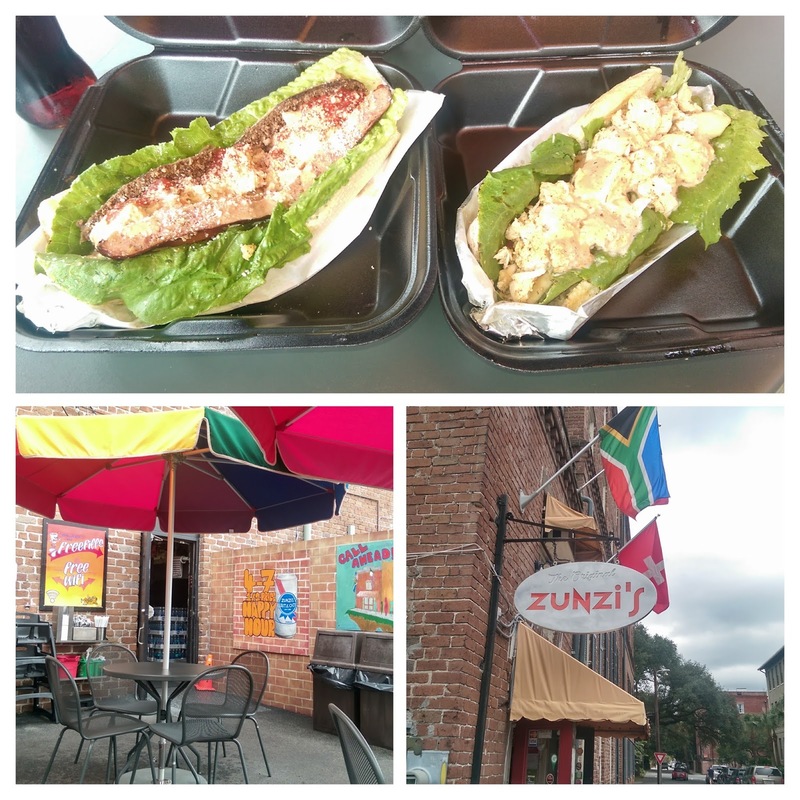 Located a few blocks from the Riverwalk in Savannah, Georgia, Zunzi's is an African sandwich shop that's tucked in a little "hole-in-the-wall", just enough space to order and pay. Several metal tables are available around the corner. complete with a very attentive wait staff. Pictured are the baked chicken "Conquistador" and the South African sausage and chicken "Godfather". A favorite of the locals, be prepared for a long line during lunch hour. Worth it.